Montana's Rocky Mountain Front is an iconic landscape where the Rocky Mountains tower abruptly above the northern plains. Stretching from Rogers Pass in the south to Marias Pass on the edge of Glacier National Park, the Front includes wilderness areas, abundant wildlife, and great hiking. Former Great Falls Tribune editor and educator Tom Kotynski has been hiking in and writing about the Rocky Mountain Front for more than 40 years. 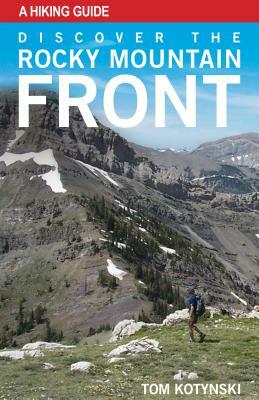 This edition of his book features new and updated hikes plus detailed trip-planning information that makes it the best guide for exploring the entire Front by road and trail. Containing: 32 hikes 34 maps 114 B&W photos 16 color photos Hikes rated from easy to strenuous Estimated hiking times Best time to go What you'll see Suggested sidetrips Directions to a dozen waterfalls Recommendations for more than 30 peak climbs Where to go cross country skiing and snowshoeing Campgrounds and local lodging Special wildlife areas Suggestions for hiking the Front with children.